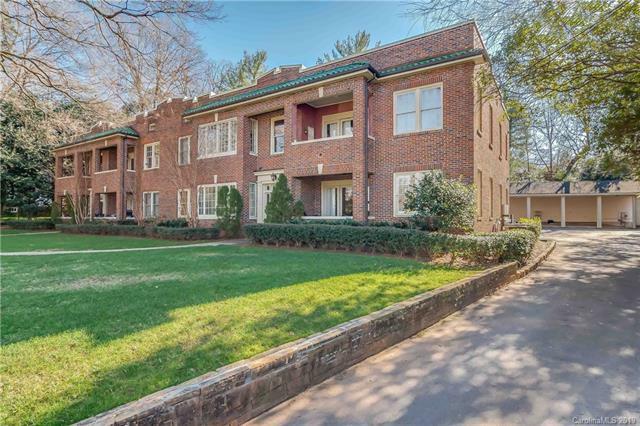 Flawlessly Renovated Condo located in esteemed Myers Park neighborhood! This exquisite home offers a great floor plan with updated kitchen open to formal dining, large living space with french doors leading out to covered terrace. Bedroom has lots of natural light. Bathroom includes updated vanity and ample walk-in closet with custom closet system. The 2008 renovation of this building included new windows, electrical, plumbing, and more. This home is professionally decorated and shows extremely well!